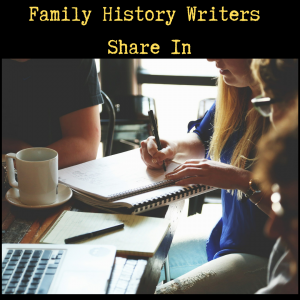 The Family History Writers Share-In is an informal gathering designed to provide you with a positive environment where you can discuss your writing. Participants come from all points on the writing spectrum, from “never done this before” to bloggers to published authors. You can share something you have been working on, provide feedback to others or just sit back and absorb the creative energy of the group. The one thing that unites the group is a desire to write about family in a way that gets read. The Share-In happens every month on the 4th Saturday from 10:30AM-12:30PM. Seating is limited – so please pre-register for each session you plan to attend!